Chef Bilyk’s love of food comes from childhood memories of his large Polish-Italian family and eating mussels at his grandparents’ Jersey Shore home. His grandparents are his culinary heroes and he thinks of them every time he cooks. 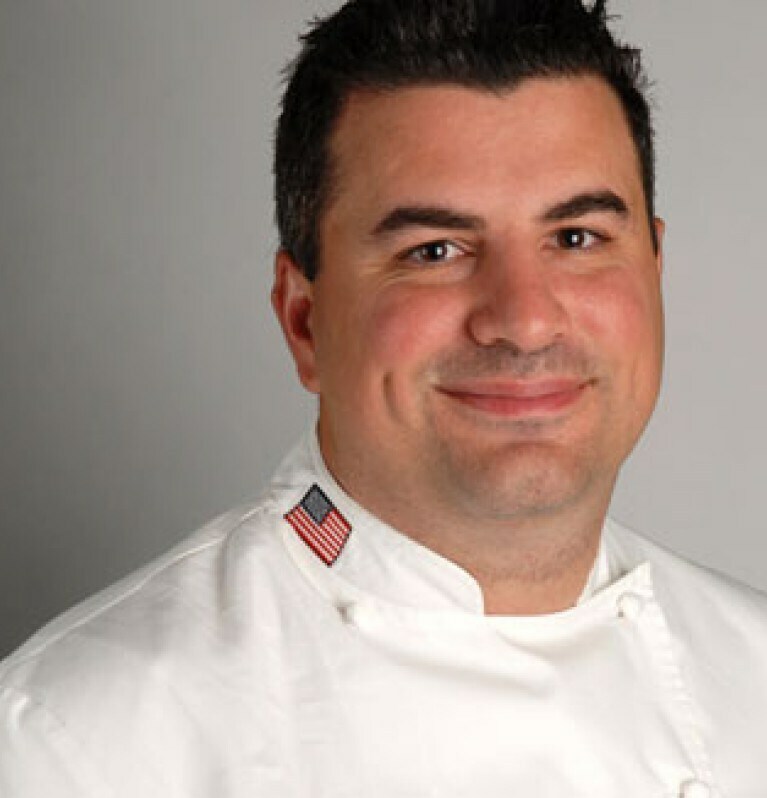 A graduate from the Culinary Institute of America, he has worked as chef de cuisine and executive chef at a number of award-winning restaurants in the New York area. Chef Bilyk has a passion for regional cuisines, including New England, Southern, Cajun and Pacific Rim. His approach to food is to keep it simple and fresh. He recommends grilled fish with lemon and sea salt. One of his greatest achievements is watching young cooks he has mentored become chefs themselves. Chef Bilyk works on the Knorr culinary team as an innovation chef and helps turn delicious concepts into new Knorr products. Bistro, regional and new American cuisine. I also specialize in making meals and recipes specifically tailored for large gatherings - like my family Thanksgiving! My staff did not prepare enough portions of salmon for a large, very important party, and it was my fault for not double-checking. After 25 people had to wait more than 20 minutes for their food, I promised myself I would never let that happen again. Something in the golf industry, even though I’m not very good at the game! Buy everything as fresh as possible and prepare it simply. It’s the easiest way to amazing flavor. If you’re in a pinch, use Knorr bouillon for an extra boost of flavor. When entertaining at home, buy the appetizers (cheese, cured meats, olives, etc.) and make the entrée yourself. Pizza! I love pizza. Thin crust, pan, square, round – decked out with all kinds of fresh toppings. Playing a round of golf in the morning, then spending time with my family and cooking a nice fresh dinner on the grill in my backyard with a nice bottle of wine. I wish every day was like that!